Through our work with over 400 of the world’s leading publishers (like The BBC, Red Bull, National Geographic, Forbes, and The New York Times), we’ve found that successful storytelling and distribution often comes down to proper planning. 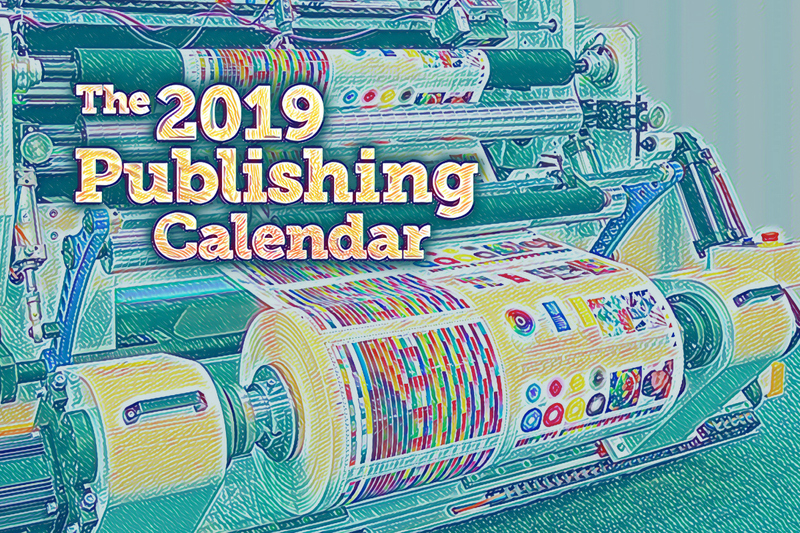 To help you get a head start on mapping out your 2019 content strategy, we’ve put together a calendar full of US holidays, major entertainment and cultural events, and fascinating industry facts* – all to provide both creative inspiration and a template for your social campaign planning. This way, you’ll know when to celebrate both Earth Day and International Cat Day in 2019. Download and print the PDF to pencil in your own campaigns or, if you prefer, you can download the calendar as an iCal file, or add it to your own Google Calendar. * Did you know? In May of 1704, the first newspaper ads appeared in the Boston News-Letter, America’s first newspaper. Two ads offered rewards for stolen or lost items (one of those items was an anvil), and another was for real estate on Long Island, New York.